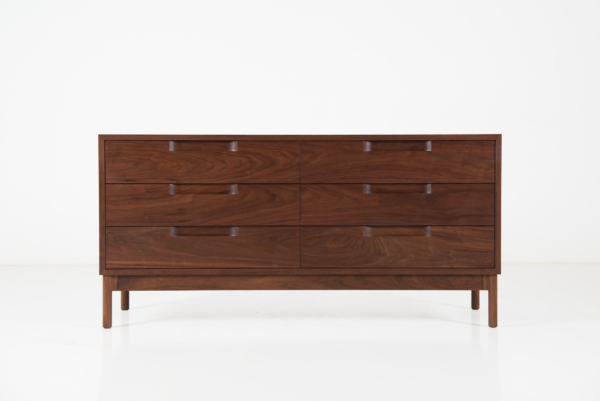 The Hartford Horizontal Dresser borrows the salient elements of its namesake collection – extending the versatility of the Hartford Collection from the living room to the bedroom. The nuances of the piece are what define it – particularly the leg to rail detail and the drawer and door pull cut-outs. These details are consistent throughout the Hartford Collection, thereby serving to connect it visually to its companion pieces while simultaneously helping to define its uniqueness. 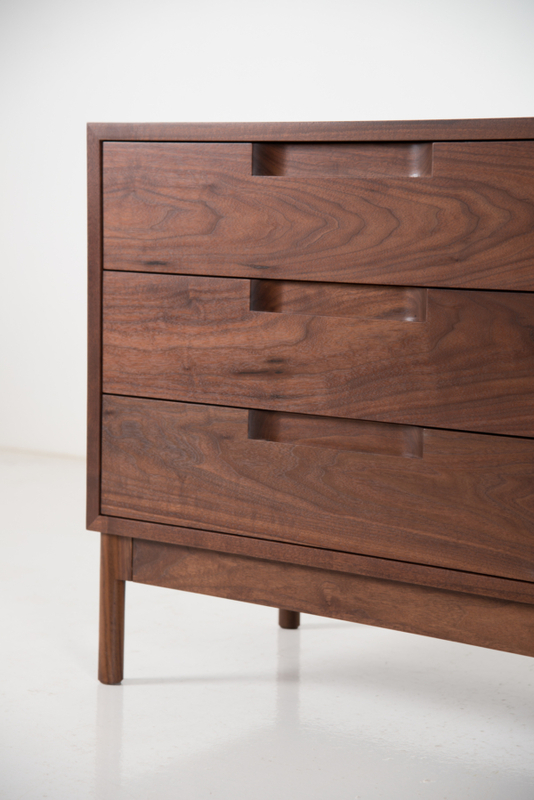 As an example of letting function dictate form, the primary use of the Hartford Horizontal Dresser is assumed to be the storage of clothing, but its universal nature speaks to its versatility as a piece of furniture. 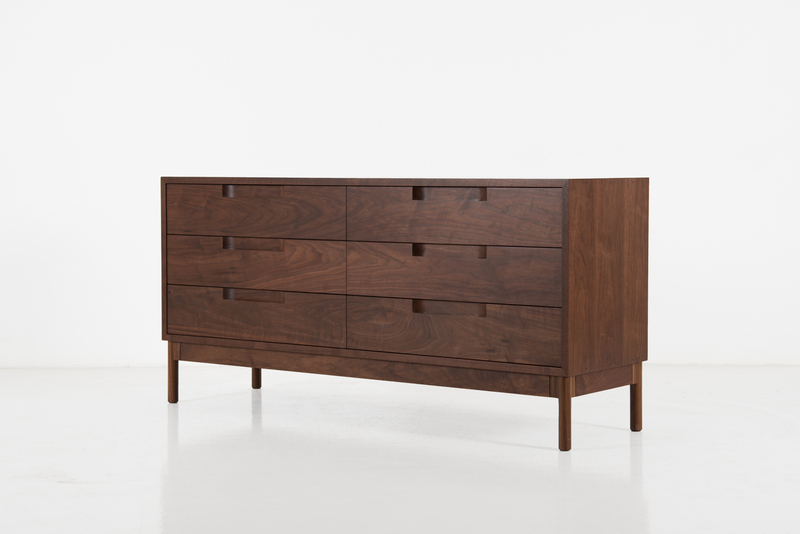 While it was crafted to complement more simple and modern settings, the linear shape of the dresser aligns well with an assortment of bedroom furnishings. 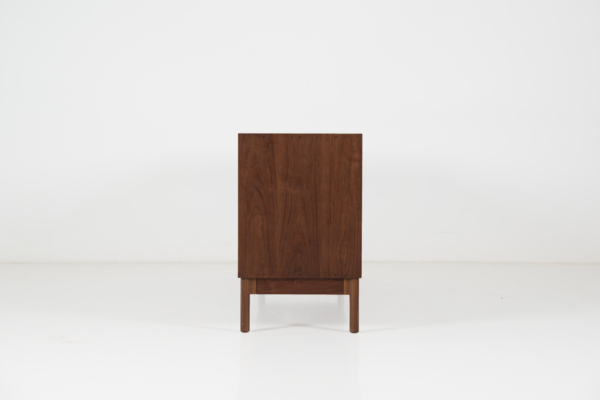 Resting on a pedestal of four legs and a four-sided structural skirt, the cabinet structure extends around the perimeter, rising to form a strict vertical profile. 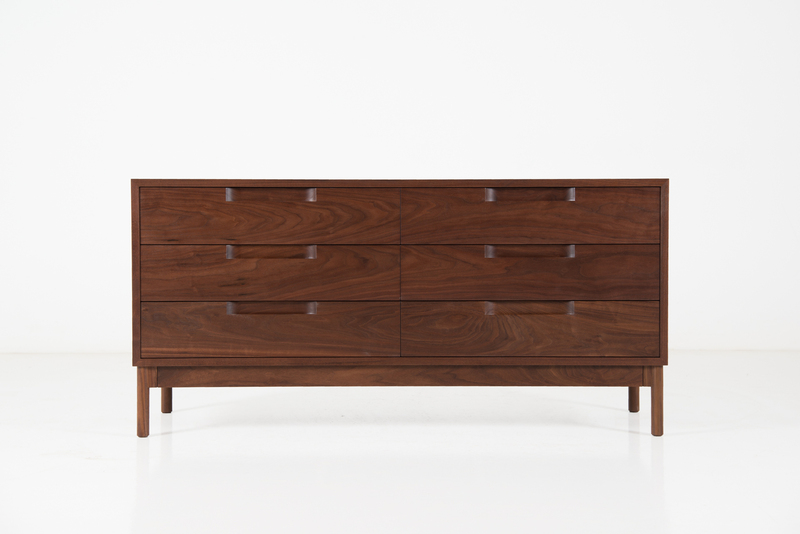 The piece houses six wide, spacious drawers that form its face, nearly flush with the cabinet. Drawers sit on polished hardwood slides that move with ease, and recessed pulls are carved at the centers to add both utility and visual dimension to the dresser. The design of the Hartford Collection – and seen in the dresser – aims to embrace our advanced technology and machining capabilities and define ‘visible joinery’ in a new way with the collection’s hallmark joint. 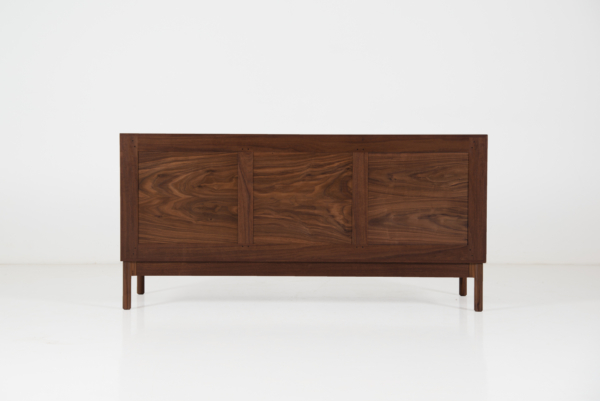 Traditional to Moser craftsmanship, the solid sides and tops of the cabinet are made of matched-grain wood, and the back is enclosed with a hardwood panel that rests in an expansion joint to compensate for seasonal expansion and contraction. 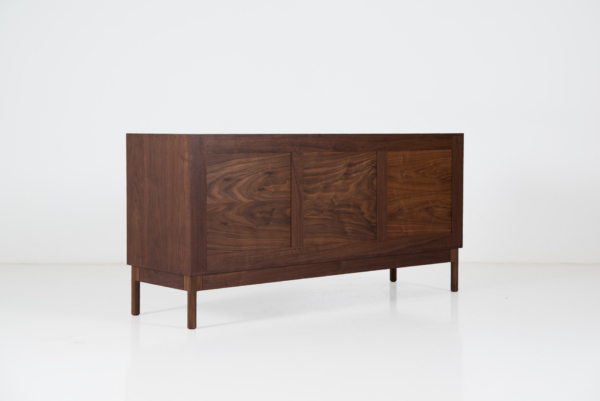 The Hartford Horizontal Dresser feels clean and contemporary, with uninterrupted surfaces that combine to bring a sense of confidence and style to both modern and traditional interiors.